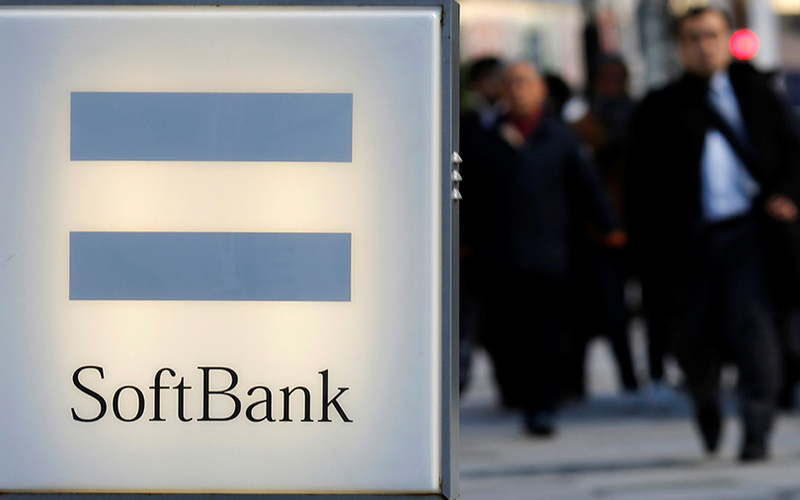 Japanese investor SoftBank was in focus this week as it moved ahead on its share purchase of Indian e-tailer Flipkart and was reported to be in talks to lead a $500-600 million funding round in online marketplace Paytm Mall. In other developments, cab aggregator Ola is planning to launch bicycle sharing services while online media startup ScoopWhoop is scaling down news operations. Amazon's India arm showed a 105% increase in revenue in the year through March 2017 from its marketplace operations. The week also saw Cisco executive chairman John Chambers picking up a 10% stake in Chennai-based software services firm Uniphore while mobile gaming firm Nazara and along with Chumbak, Smaaash and Graphic India raised funds. The sale of Tiger Global and Accel’s shares in Flipkart to SoftBank is awaiting clearance from India’s competition watchdog, people with direct knowledge of the matter told VCCircle. About $1 billion of SoftBank’s recent $2.4-billion investment in Flipkart is believed to be by way of secondary share purchase from Tiger Global and Accel. Some early Flipkart investors, employees and ex-employees were approached by SoftBank Vision Fund to buy shares at $85 to $89 as part of the deal. Separately, SoftBank is also reported to be in talks to lead a $500-600 million (Rs 3,000-4,000 crore) funding round in Paytm Mall. The online marketplace is backed by Chinese e-tailing behemoth Alibaba. Meanwhile, the Bangalore police have registered a case of cheating under different sections of the Indian Penal Code against Sachin Bansal and Binny Bansal, co-founders of Flipkart, and three employees of the company. The case pertains to cheating and criminal breach of trust filed by a city-based businessman who alleged that the firm cheated him of Rs 9.96 crore, according to media reports. Flipkart denied the allegations. In its ambitious plan to cover a wide spectrum of transportation services, Ola is planning to launch bicycle sharing. Ola launched its bicycle sharing service on the IIT Kanpur campus on November 2. It added a ‘Pedal’ button on its app to allow students, faculty and others on the campus to take bicycles on rent. Ola Cycle Pool Services, or Ola Pedal, comes on the heels of a number of other players including self-drive car rental firm Zoomcar and the newly-founded Yulu entering the app-based bicycle sharing business. Zoomcar is providing its services in select cities right now. Kalaari Capital-backed Online media startup ScoopWhoop is in the middle of restructuring its operations and laying off more than a dozen employees across teams, several former and current employees at the firm told VCCircle. ScoopWhoop is said to be scaling down its news coverage operations. Eight people from the core news team and six from the design team have been laid off. As many as 60 people have been asked to look for jobs; however, this could not be confirmed independently. Sattvik Mishra, co-founder and CEO of ScoopWhoop, said the move was a performance review exercise. “This rumour of 60-70 people (being laid off) is not true. We actually let go of about 10 people horizontally from a team of about 170,” Mishra said. In what could be a clear indication of an imminent initial public offering from Nazara Technologies Pvt. Ltd, IIFL Special Opportunities Fund has bought a minority stake in the mobile game developer for $51 million (Rs 330 crore). IIFL Special Opportunities Fund mainly invests in companies before or during their IPOs. Nitish Mittersain, founder and managing director of Nazara Technologies, acknowledged that the investment could be a precursor to the gaming firm’s proposed IPO. “We are looking at our options, it might lead to an IPO,” Mittersain said. VCCircle had earlier reported that WestBridge-backed Nazara is preparing to float its IPO by the end of this financial year at an ambitious valuation of around $500 million. Nazara would become the first Indian gaming firm to tap the public market if its plan materialises. Silicon Valley-based H2O.ai, an enterprise startup co-founded by Indian-origin entrepreneur SriSatish Ambati, has raised $40 million (about Rs 258 crore) in a Series C round led by US banking company Wells Fargo and technology firm NVIDIA. Existing investor Nexus Venture Partners also put in money. New York Life, Crane Venture Partners and Transamerica Ventures, the corporate venture capital fund of Transamerica and Aegon Group, were the other investors. The Series C round takes the total funding raised by H2O.ai to $75 million. Technology conglomerate Cisco’s executive chairman, John T Chambers, is picking up a 10% stake in Chennai-based Uniphore Software Systems Pvt. Ltd as part of the speech recognition software firm’s Series B funding round. Chambers is also looking to invest in four more startups working in the artificial intelligence, natural language processing, Internet of Things, robotics, machine learning, drones and security segments. In other funding news, Mumbai-based mid-market private equity firm Gaja Capital led a Rs 85-crore ($13 million) funding round in Bangalore-based Chumbak Design Pvt. Ltd, which sells designer-led consumer products. Gaming arcade operator Smaaash Entertainment Pvt. Ltd raised fresh funding from consumer-centric investor Sixth Sense Ventures. Bengaluru-based character entertainment company Graphic India Pvt. Ltd raised $5 million from investors including Start Media LLC, Backflip Studios co-founder Julian Farrior, TV Mohandas Pai’s 3One4 Capital and Zodius Capital founder Neeraj Bhargava.